Air pollution from cars and trucks is linked not only to the usual suspects — heart attacks and asthma — but also to cognitive disorders like autism in children and dementia in adults, researchers have found. And merely living near a heavily trafficked road can increase the risk, said David Peden, a pediatrics professor at the UNC School of Medicine. “What’s outside comes inside,” said Peden, who is also the director of the UNC Center for Environmental Medicine, Asthma and Lung Biology. He and several scientists spoke about the intersection of environment and public health at a forum at Duke University last week. 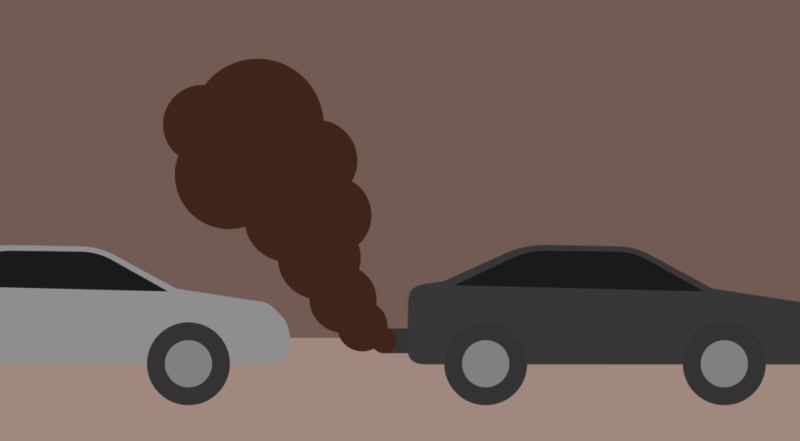 Abundant in tailpipe emissions, microscopic particulate matter, known as PM 2.5, is the primary culprit. These particles, much smaller than the width of a human hair, burrow deep into the lungs. There, as the Lancet medical journal reported, the invaders fire up the immune system and cause inflammation elsewhere in the body. Developing fetuses and very young children are particularly prone to the cognitive harm from PM 2.5. In older adults, one study from Toronto showed that living within 150 feet of a heavily trafficked roadway increased the risk for Alzheimer’s disease and dementia. In addition, diabetes and osteoporosis are now thought to potentially be linked to chronic exposure to air pollution, Peden said. These public health findings also raise environmental justice issues. Mobile home parks, public housing developments and low-income communities are often located near highways because wealthier people can afford to live away from the pollution and noise. Given the science, it would be logical to strengthen air pollution rules. But the Trump administration recently announced that it plans to roll back Obama-era fuel efficiency standards for cars and trucks. This regulatory unraveling would result in greater amounts of carbon dioxide emissions — a greenhouse gas — and yes, PM 2.5. The EPA’s proposal would create a feedback loop of damage to the environment and public health. Higher rates of carbon emissions contribute to climate change. And climate change causes weather extremes, such as historic droughts. Those droughts contribute to wildfires, which also spike PM 2.5 emissions, recently in the Pacific Northwest, but also in western North Carolina in 2016. The particulate matter can also travel hundreds of miles, to urban areas, already beleaguered by pollution. For example, in 2008, pollutants from a peat fire at Pocosin Lakes near the coast traveled at least as far inland as Durham, where for many days residents could smell the smoke. Wayne Cascio is the director of the National Health and Environmental Effects Research Lab at the EPA’s office in RTP. He said long-term PM 2.5 exposure, as well as nitrogen dioxide, another tailpipe emission, can accelerate aging, lead to hardening of the arteries and raise cholesterol levels. “These health effects have real costs,” Cascio said. He declined to comment on the contradictions between the EPA’s scientific findings and the agency’s politically driven decisions. To Mr. Cascio’s comment about “not getting into policy debates as scientists, I immensely disagree with that and think it is wise and necessary for scientists to enter the policy debate arena. Politicians and lawmakers are obviously not listening to personnel engaged in research and objective studies, so it should fall on the shoulders of accredited individuals who have vastly more knowledge than I do, and even than politicians do, to try to educate people, comment on what should be done logically and scientifically to maintain our health and safety, and to persuade those who make laws to ensure those laws are grounded in scientific facts instead of emotional reactions.